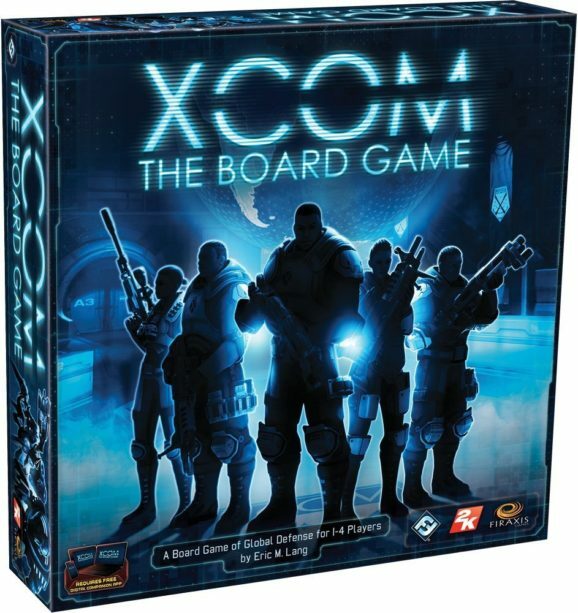 I was a big fan of the reboot of XCOM on the Xbox 360 so I was very excited when I heard there was a board game based on it. They have managed to capture the feel of the game very well here. It is a four player co-op game where each player has a set role. Commander, chief scientist, squad leader and central officer are the roles. You will have to work together to take on the alien threat and each role has its own skills and advantages. You need to download the accompanying app to play this game and it makes it just so much more awesome. This app really does add a lot of tension to the game and I would go as far to say it makes it much more easy to follow and play as it explains the rules as you go. The game has a lot of mini figures which is something that I always like to see. There is 8 XCOM soldiers, eight interceptors and a ton of UFO’s! The figures are very well detailed which is cool. There is a lot of cards with this game and at first glance it can seem a little daunting. But that app really does make getting into the game very easy. Even if you are not a fan or have never even heard of the game. If you like sci-fi board games then you will have a fantastic time with this. 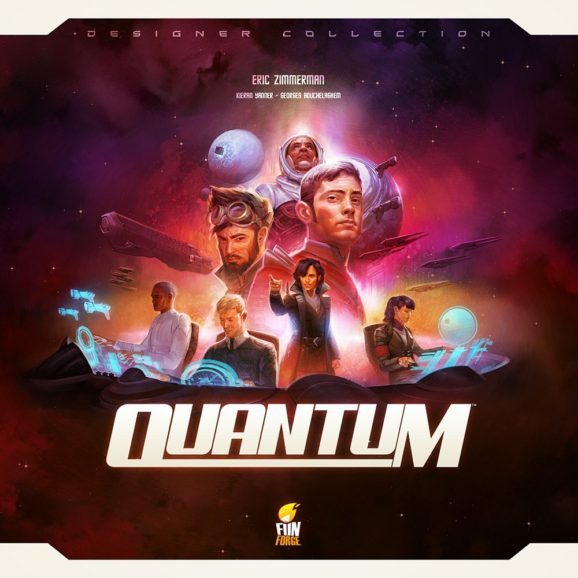 Quantum is a very popular game and one of the best sci-fi board games on the market right now. This is a “new and improved version” which offers some new elements. To be honest this is the first Quantum game I had played as I did not play the original so I was coming into it with an open mind. You have a fleet of ships and you need to go out into the galaxy. It is the might of quantum probability which powers your fleet! I will be honest I had no idea what this meant, but it does sound really cool and my lack of really understanding did not affect the fun me and my buddies had when playing. Quantum is a game that is designed for two to four players. I played it with three buddies and we all had a good time. The basic idea of the game is that you want your fleet to be the best in the galaxy and you do this by exploring, making new technologies and destroying anyone who gets in your way. What I liked about this game was how it was very easy to get into, but at the same time it is the kind of game that is hard to master. First play through I got destroyed as I did not think about my end game. But the more you play the more strategic you get. It took us a little over an hour to play a full game so it is not a super time consuming game which some of you may like. I have heard that some people say that this is one of the best sci-fi games of all time. Let me tell you that Galaxy Defenders was an absolute riot. This has been around for a little while now and there is actually couple different expansion packs out there for it. But I was just lucky enough to play the base game. Now a full game of this can last a few hours, but let me tell you there is no need for groaning as this is a lot of fun. The game is designed for up to five players and there is different classes of character to play as. Of course as you would expect each of the characters has their own abilities, moves and special powers that can be improved as you level up and they will come in handy during the game. Galaxy Defenders is a co-op game that sees you all working together to stop an alien invasion. I know it may not sound like the most original concept, but you are actually playing through a story. A story that is a heck of a lot of fun and really does make you get invested into the game. With lots of cool mini figures, custom die, maps and a ton of other stuff. Galaxy Defenders really is an elaborate sci-fi board game. It does take a little while to learn the rules and get into the game, but once you do, you are going to be hooked! I know that this game looked like it is just all about action (and there is a lot of action) but there is a lot of strategy and tactics involved here as well. As a kid I hated Risk! 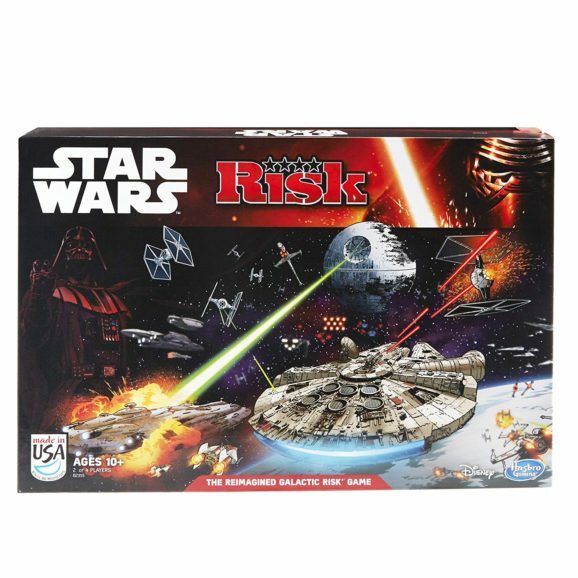 I just found the whole premise of the game pretty boring, but I was more than willing to give Star Wars Risk a try. This is one really cool game and the idea is that you are playing the final moments from Return Of The Jedi. Luke battles Vader, the Rebels need to need to lower the Shield and there is an all out space battle to destroy the Death Star! You either play as the Rebellion or the Empire. Of course depending on what side you play as will depend on what your objectives are. I did actually find this a pretty complicated game to be honest with you so just know that your first play through will be pretty slow as you will be learning all the rules. Still it is well worth sticking with as the game is a lot of fun and there is a ton of strategy involved here as you have to manage three battles at once! The mini figures this game comes with are awesome. There is a ton of Tie Fighter, X-Wings, Y-Wings, B-Wing and even a Millennium Falcon token which if you are playing as the Rebellion you will need to help Lando blow up the Death Star with. This is just a really fun game and while it does have a learning curve it is well worth sticking with as it is the kind of game where you learn a little more each time you play it. If you like this, here are 4 best Star Wars board game to consider. Ok from the intro, you must have known that I was going to put Space Hulk in here. This is the newest version of the game and it sees the Blood Angel Terminators needing to explore the Space Hulk known as The Sin of Damnation and put a stop to the evil, Genestealers who pose a threat not just to you, but potentially the whole darn galaxy. Look Space Hulk is awesome. It really does pump you up and make you either want to save humanity or destroy it! I may be a bit biased here, but I still feel that Space Hulk has some of the best mini figures of any sci-fi board game and this version here keep the series high standards going. 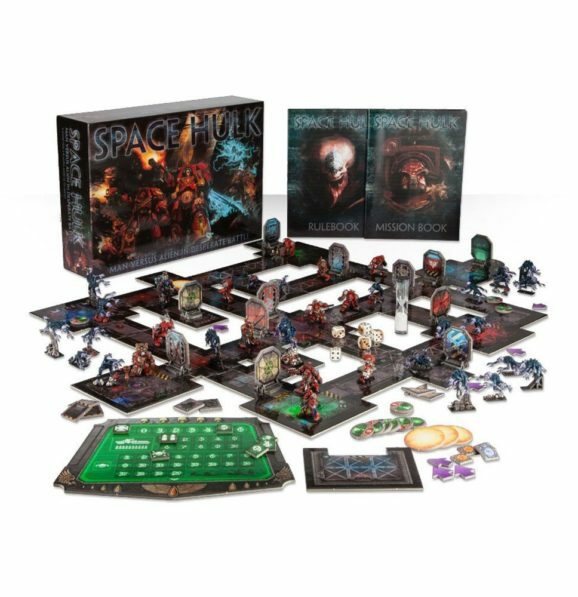 Space Hulk is a two player game that is set on a series of modular tiles. These look awesome when they are all put together and the artwork on them is just fantastic. The artist here has done an amazing job of bringing the Sin of Damnation to life. Space Hulk features 16 different missions to play. Four of which are actually brand new for this version of Space Hulk which I thought was really cool. 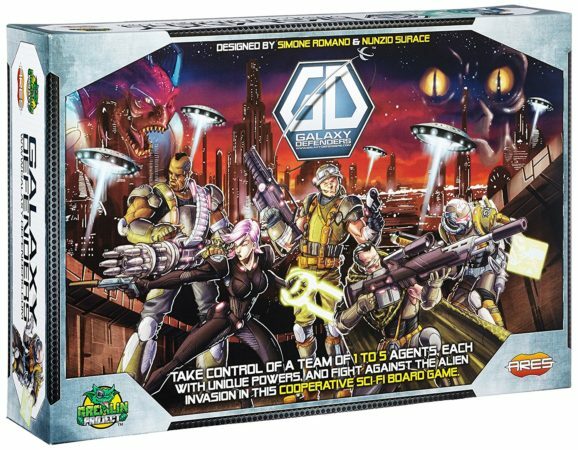 It is a very simple game to learn and if you are new to sci-fi or even table top games in general. I would say that Space Hulk is a great way to start. Now this is my own personal opinions, but Space Hulk deserves to be regarded as one of the best sci-fi board games of all time!